The Sustainable Development Teaching and Research Farm is a student and faculty-powered farm that offers students an opportunity to immerse themselves into a living lab. The goal of the SD Farm is to become a multi-purpose, integrated farming system that produces healthy food, fiber, and other raw materials that can be cultivated successfully on a small scale. 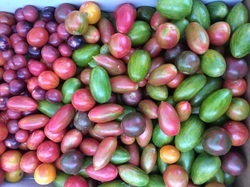 Come see our multitude of produce production, livestock, and experiments in progress. Elk Ridge Farm is a small diverse family farm. We have about 30 acres, of which 20 are in production! We raise heritage hogs, grass fed cattle, dairy and meat goats, and chickens for eggs, with a variety of uncertified organic produce. Come meet the pot belly pig and see the rest of the operation! Visit Waterfall Farm and experience a sugar farm producing maple syrup right here in North Carolina. Visitors will be given a hiking tour of the farm to see how sap is collected and boiled to produce this rare southern sweetness. The farm also raises rainbow trout and catfish, caught to order! 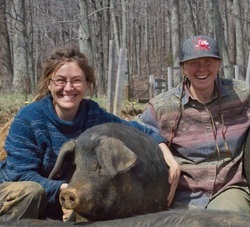 Glimpse the daily operations of a diverse family farm that includes honey bees, chickens, hogs (seasonal), sunflowers, produce, fruit trees, firewood, and baked goods. Take a stroll around the farm with one of the farm children as your tour guide providing insight into how your food is produced and answering any of your questions. Guided tours offered on demand. 6) Highland Meadows Cattle Co.
We are a family owned and operated farm that raises Scottish Highland Cattle for meat sales and breeding stock. 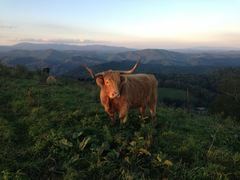 Our cattle enjoy free-range on our high elevation pastures and drink from clear clean mountain water. Simply known as Highland Cattle, these animals are instantly recognized by their sweeping horns and flowing hair. Highland cattle have been long known for the quality beef they produce which we sell by the cut, half or whole. Old Orchard Creek is a U-Pick blueberry farm located in northwest Ashe County. The farm and many of its buildings are on the National Register of Historic Places, being settled in around 1890. Old Orchard has approximately 4,000 High Bush blueberry bushes and around 300 heirloom apple trees. 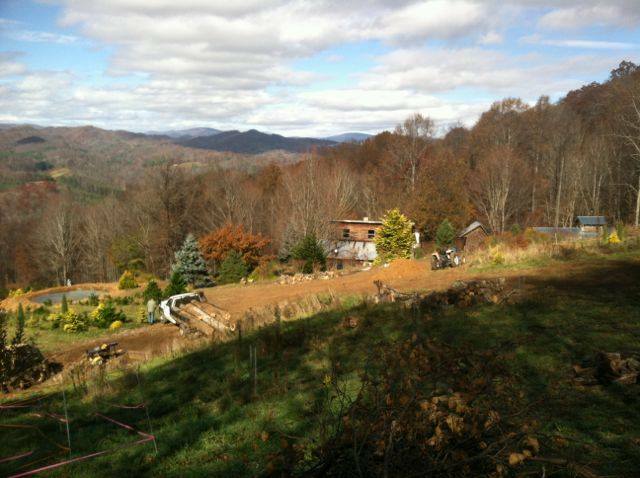 The farm is also permanently protected by a Conservation Easement with Blue Ridge Conservancy. Zydeco Moon is named after the Cajun French name for green beans, from a song made famous by Clifton Chenier “Zydeco sont pas sale” or “the green beans have no salt”. We moved here from South Louisiana and wanted to bring a little of that culture with us to the mountains of Ashe County. Our farm was purchased in 2005 and we began the long process of putting the farm back into production and became certified organic in 2006. 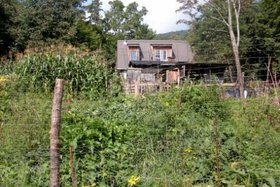 Visitors to Zydeco Moon will tour our passive solar greenhouse, 3 high tunnels and our 11 fields along Helton Creek and our ridge above Helton Creek. We will have our farm wagon hooked up for the guided tours, and if the weather cooperates, stops for wild berry picking on the way to the ridge fields. 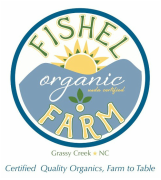 Come enjoy the afternoon with the Fishel family on 26 certified organic acres of beautiful produce, and find out how it goes from seed to your local grocery store! Visitors will have the opportunity to view and learn about greenhouse and high tunnel production, as well as different types of irrigation techniques. Riding tours will be available to view row crops in fields with Q&A about organic growing methods, farm equipment/implements and harvest/packaging practices. All harvest ready produce will be for sale as well as our farm logo t-shirts and our famous Moravian chicken pies from the family bakery. 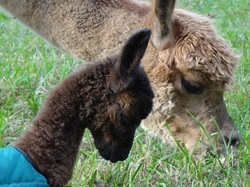 Come meet the alpacas and learn why these gentle animals that produce luxurious, soft, warm fiber are easier on the land than traditional livestock. 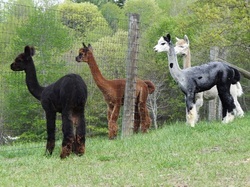 Our farm's sheared fleeces are spun into beautiful yarn and made into a variety of wonderful alpaca garments, accessories, and novelty gifts available for purchase at the farm. A self-guided tour will include "from alpaca to finished garment" exhibits, storyboards, and demonstrations by fiber artists. Heritage Homestead is a working goat dairy. 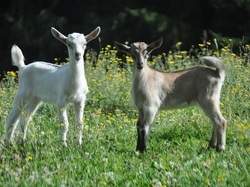 Visitors will be able to interact with the goats, view the milking parlor, cheese processing room, taste our cheese, black-smith shop, and studio where broom-making, basket weaving, and hide tanning take place. Little Peak Creek Farm is located in Jefferson, NC on 68 acres and has a rental cabin where families come to stay and enjoy farm animals of all kinds as well as share in fruits and vegetables when in season. 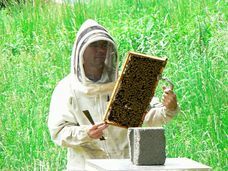 We also have bees and harvest sap for maple syrup.The farm has trails and indoor and outdoor games for entertainment. We will be on site for a guided tour of the cabin, garden, barn and animals, and invite visitors to hike trails if they like.